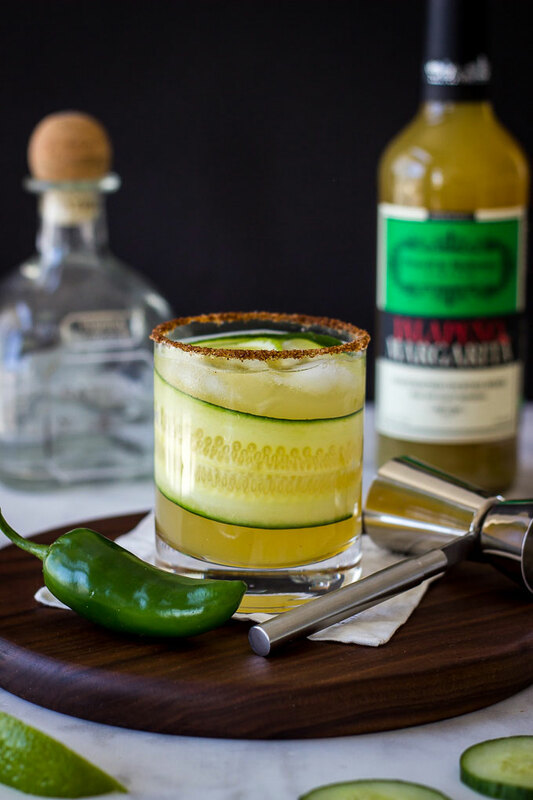 This Cucumber Jalapeno Margarita is refreshingly spicy. 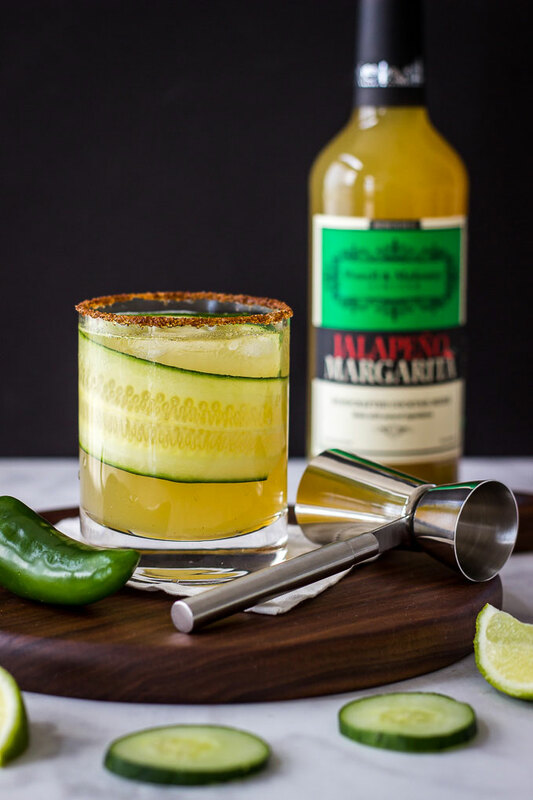 Made simply with cucumber slices, blanco tequila, and Powell & Mahoney Jalapeno Margarita. 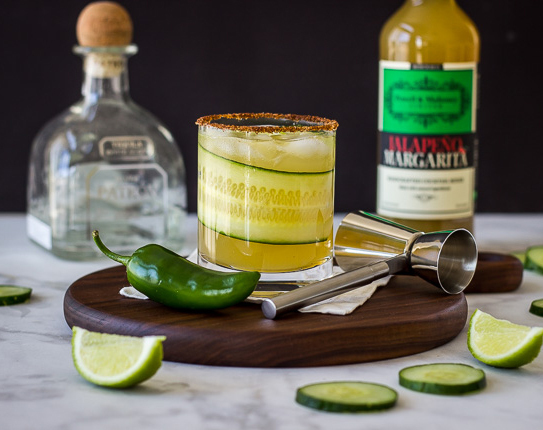 This Cucumber Jalapeno Margarita has it all. It’s as simple to make as its flavors are complex. 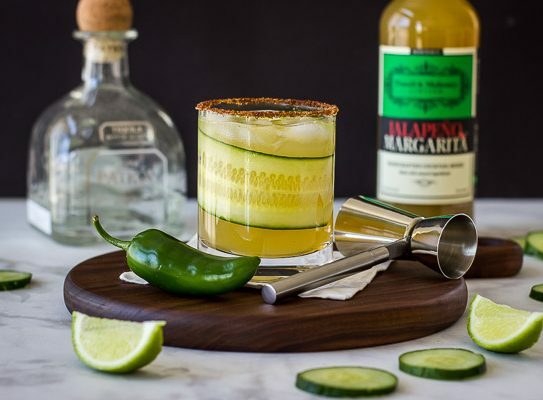 “When did you become a mixologist?”— With this cucumber garnish, and a chili salt rim, expect your friends to ask this question. 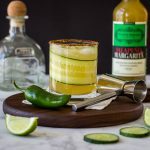 This cocktail is refreshingly spicy, and made simply with cucumber slices, lime juice, blanco tequila, and Powell & Mahoney Jalapeno Margarita. 1. Combine salt and chili powder on a small plate. Rub the rim of your glass with a wedge of lime to moisten. Dip in chili salt. Set aside. 2. In a cocktail shaker, muddle 3 cucumber slices with tequila. 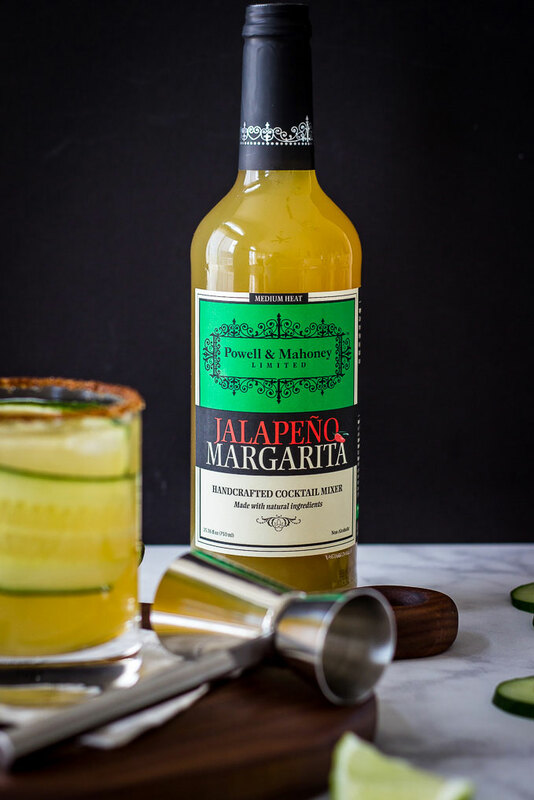 Add the P&M Jalapeño Margarita, a squeeze of fresh lime juice, and some ice. Cover and shake vigorously, about 20 seconds. 3. Strain over fresh ice into prepared glass. Garnish with cucumber and jalapeño slices. *Optional - if desired, using a mandolin, carefully slice one long cucumber slice (see photo) about 1/8 - 1/4 inch thick to wrap inside the cocktail glass.